Tech Tools To Support Writing Instruction! We are in a challenging transition period. It is becoming increasingly clear that the industrial educational model is ill-equipped to develop the skills and competencies our students will need, and it is insufficient to engage our digital learners. What Are You Teaching Today? Poetry That Inspires! Reading poetry is inspirational! And teaching it can be even more so. If you haven't thought about using poetry in your daily work with students, I really want you to re-think that whole idea today. Check out my newest blog post on integrating Non-Fiction Text Structures into your reading and writing instruction! Many freebies and resources are included! At our ManACE Technology Information Night, a presenter talked about how Twitter has become his most important source of valuable information regarding his journey of becoming a teacher in a one-to-one environment. "Who you are speaks so loudly I can't hear what you are saying"
This blog is for those of you who are just starting to get excited about the new technology you are beginning to access, but at the same time, are overwhelmed. It's actually a message of hope so please keep reading! It has a happy ending. Every educator knows what their school is like, but few really understand what Twitter is like. The Twitter experience, like school, is different for everyone. One’s contribution to the effort in either of these endeavors has a great deal to do with producing the outcomes. Simply put, the more you put in, the more you get out. That at least is the theory. What teacher can do to techno-fy their classrooms. It is always difficult to figure out what way to integrate technology and how to use these new tools in ways that make sense. http://blend2learn.org/2012/04/14/a-day-in-the-life/. this link describes some of the strategies the teachers I work with are using. I would love any thoughts or feedback. Education has gone beyond the four walls of the classroom. IT has taken over and has even made teaching and learning easier for us all. Perhaps, many educators are yet to explore the internet to see we have. I'll implore all to tap into this opportunity. Get the gists everyday. Does anyone know anyone with Aspergers Syndrome? Just wondering if a relationship is a feasible thing. 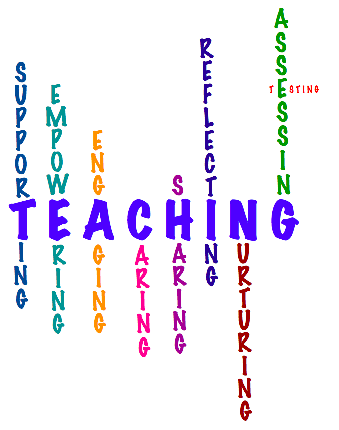 Want to know more from an educators standpoint.